The gap between the rich and the poor in Massachusetts ranks as one of the widest nationwide. Income inequality was greater in only five other states during 2015, according to new data from the US Census Bureau. The bureau publishes data on the Gini index, a statistical measure of income inequality that ranges from zero — which represents perfect equality — to one — which indicates total inequality. Massachusetts in 2015 had a Gini measure of 0.485. New York had the highest inequality ratio nationally at 0.514, followed by Connecticut, 0.492; Louisiana, 0.491; California, 0.488; and Florida, 0.487. Massachusetts also ranks high in other measures of income inequality, and that has led to more social segregation and fewer mixed-income neighborhoods. Among major cities in the United States, Boston also ranks high in terms of inequality. The city’s Gini score was 0.546 for 2015, which was worse than the state number. 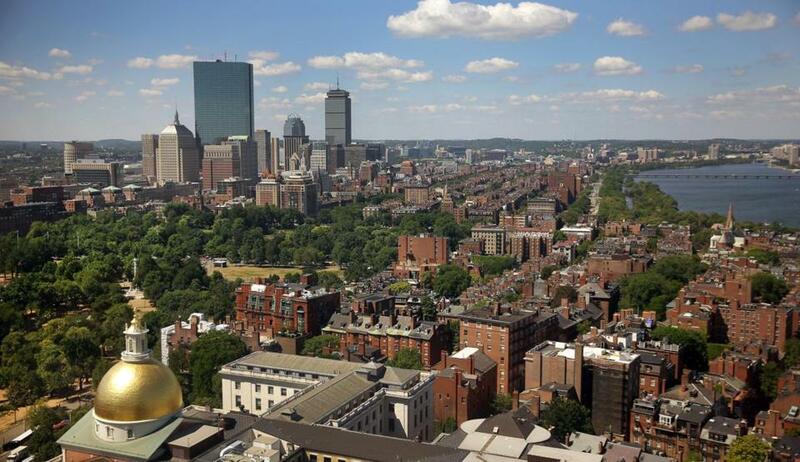 Boston also ranked sixth in terms of inequality among the 50 largest cities in the country, according to Census data. Miami had the highest Gini ratio at 0.576, followed by Atlanta, 0.571; New Orleans, 0.564; New York, 0.551; and Dallas, 0.549. Boston had the highest rate of income inequality among major US cities in 2014, according to a different analysis released by the Brookings Institution. 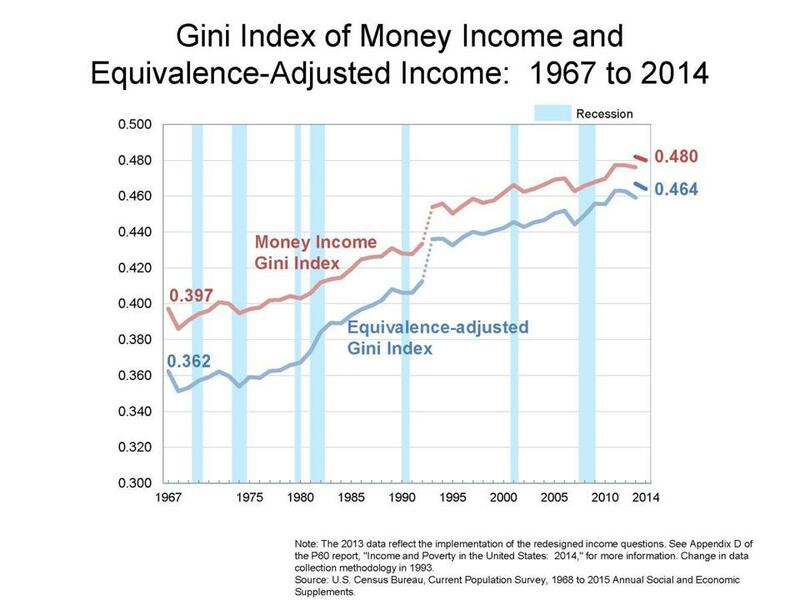 The Gini figure nationally for 2015 was 0.479 — virtually the same as it was in 2014, even as the median household income in the United States rose 5 percent, officials said. The long-term trend has been an expanding divide between the country’s haves and have-nots. Since 1993, the earliest year of available and directly comparable data, income inequality in the United States has risen by 5.5 percent, according to the Census Bureau. The agency tracked Gini figures for years prior to 1993, but it cautions against comparing data from those years with statistics from more recent years because the bureau began using a new method of collecting income data in 1993. Even so, the older data are useful in understanding past trends. From 1947 to 1968, income inequality generally decreased. After that, it was relatively stable for just over a decade. But from 1980 through 1992, the Gini index for the United States rose by about 7.7 percent. The above graphic shows how income inequality in the US has changed over time. Figures from pre- and post-1993 cannot be directly compared due to methodological changes in how data was collected. The Gini index figure for 2015 is not shown, though it was virtually the same that year as it was in 2014.